Embraced with musical genius and legends and appreciation for their soulful musical flavors and taste, the 61st Annual Grammy Awards ceremony was held at Staples Center in Los Angeles. Originally known as The Gramophone Awards established in 1958, Grammy Awards is one of the biggest and traditional musical ceremonies. It is held once a year where musical artists and talents are honored for their creativity and dedication. 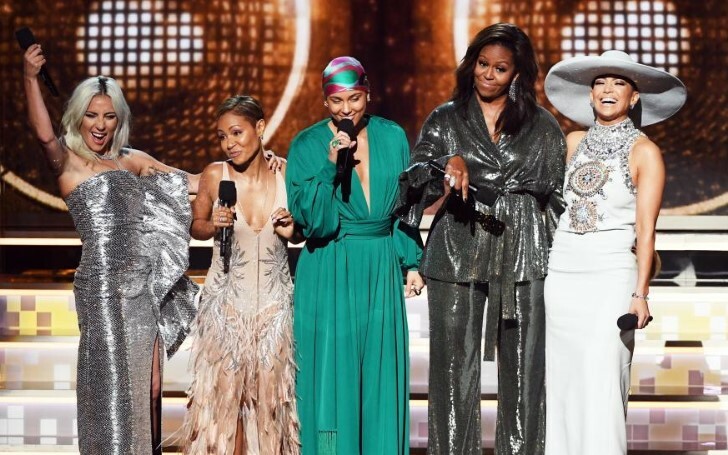 The 61st Grammy Awards took place on February 10, 2019. The show flooded with various musical artists in their stylish dresses and outfits. It was a fun event hosted by Alica Keys. The Grammy was memorable as various moments and memories were created. “Space Cowboy” — Luke Laird, Shane Mcanally, and Kacey Musgraves. “God’s Plan” — Drake, songwriters Aubrey Graham, Daveon Jackson, Brock Korsan, Ron LaTour, Matthew Samuels, and Noah Shebib. “King’s Dead” — Kendrick Lamar, Jay Rock, Future and James Blake. “Boo’d Up” — Larrance Dopson, Joelle James, Ella Mai, and Dijon Mcfarlane, songwriters. Blanton Alspaugh, best classical producer of the year 2019. “Songs of Orpheus - Monteverdi, Caccini, D’india & Landi” — Karim Sulayman; Jeannette Sorrell, conductor; Apollo’s Fire. 'Rush' — Joann Falletta, conductor; producer, Tim Handley. “You Say” — Lauren Daigle; Songwriters Lauren Daigle, Jason Ingram, and Paul Mabury. “Shostakovich: Symphonies Nos. 4 & 11” — conductor, Andris Nelsons. “Bates: The (R)evolution of Steve Jobs” — Michael Christie, conductor; Sasha Cooke, Jessica E. Jones, Edward Parks, Garrett Sorenson, and producers, Wei Wu; Elizabeth Ostrow. “McCloskey: Zealot Canticles” — conductor, Donald Nally. Mastering Engineers: Tom Coyne, Darrell Thorp, Alex Pasco, and Cassidy TurbinChris Bellman, Randy Merrill and Emily Lazar. “The Band’s Visit” — Soloists: Adam Kantor, Katrina Lenk, Etai Benson, and producers: Ari’el Stachel, David Yazbek and Dean Sharenow. likewise, composer and lyricist David Yazbek. “Voices of Mississippi": Artists and Musicians Documented by William Ferris similarly album notes writer David Evans. “Squeeze Box: The Complete Works of ‘Weird Al’ Yankovic” — Annie Stoll, and Al Yankovic, Art Directors: Meghan Foley. “Voices of Mississippi"- Musician & Artists Documented by William Ferris. Compilation producers: April Ledbetter, William Ferris, and Steven Lance Ledbetter. Video directors: Alan Hicks and Rashida Jones; video producer Paula Dupré Pesmen. “Spiderman Theme” — Arrangers: Mark Kibble, Randy Waldman, and Justin Wilson. “Never Alone”: Songwriters-Tori Kelly featuring Kirk Franklin; Grammy Performances Kirk Franklin and Victoria Kelly. Cast members: Benj Pasek, Alex Lacamoire, Justin Paul. “The Joke” — Songwriters: Dave Cobb, Phil Hanseroth, Brandi Carlile and Tim Hanseroth. The 61st Grammy Award was lit as various new faces were introduced and honored. The artists received recognition for their contribution and dedication towards music. The event was a night to be remembered.